Here at The Digi Dame Party Shoppe, we're always adding new printable party invitations and printable party decorations to our shop! We just love to create and are always eager to add our latest designs. 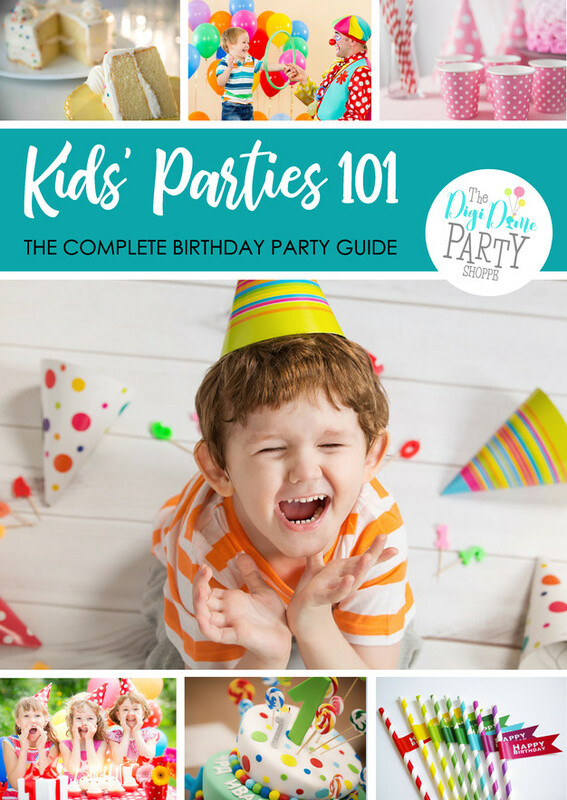 So to keep you in our party loop, in this post we're talking about the latest party printables to hit our little party shop and make your party planning that little bit easier. Our brand-new 80's Cassette Tape Favor Box Set is perfect to accompany our 80's Cassette Tape Invitation, Party Decorations Pack and Backdrop . One of our latest printable party invitation designs, is our extremely cute Crayon Box Invitation! Designed to be folded into a box, this invitation can be made extra cute by filling with cute mini-sized crayons for your party guests! Or, if something a bit more outdoorsy and adventurous is your thing, herald your forthcoming party to your medieval party guests with our new Dragons and Knights Party Invitation that just might be the ticket to classic party fun! We haven't forgotten about you beautiful brides and grooms to be! Recently added to the shop is our Gold Glitter Wedding Invitation. Like all of our invitations, the instant download template is DIY editable. However, if you're a bit dubious about editing your wedding invitation text for yourself, you can choose to purchase our Personalisation Service and we'll do all the work for you. If a food party is on your party planning menu, look no further than our delicious new Hot Dog Party Invitation. It's a quick and easy party solution, just like the hot dogs themselves! We're still in the party food van, but now on to dessert, with a variation on our Ice Cream Parlour Party Invitation. Some of our customers requested a boy's version of the design, so we have recently added our new Boy's Ice Cream Parlour Party Invitation, which is pictured above. It features green instead of the pink that features on the original invitation design. The coordinating backdrop, in A0 size, is here. Planning to go troppo at your party? We've got your invitation covered, with our new Tropical Flowers Luau Party Invitation. If travelling to Paris for your next celebration is just a faraway dream right now, then we've got the next best thing. Host a Paris party, and invite your guests in a cute way, by giving them their own passport to Paris! Our Paris Passport Party Invitation is designed to fold into a passport, including a bonus inner page for authenticity. And finally, our most recent addition to our hundreds of party invitations, is our Watercolour Flowers Party Invitation. This invitation is perfect for any woman's or girl's party, for bridal showers, weddings and engagements, and more. So, that's it for our latest creations, but if you would like to see more, you can visit our online collections here, and our Etsy Shop here. 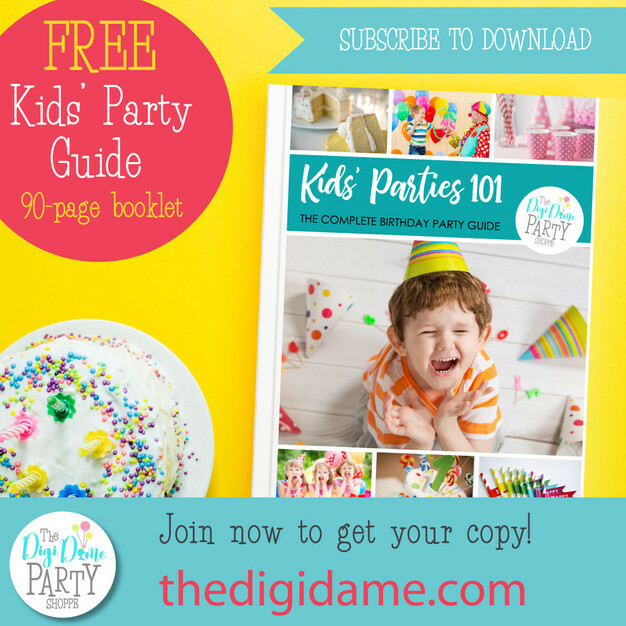 Need help planning the best kids' birthday party? Get it FREE!